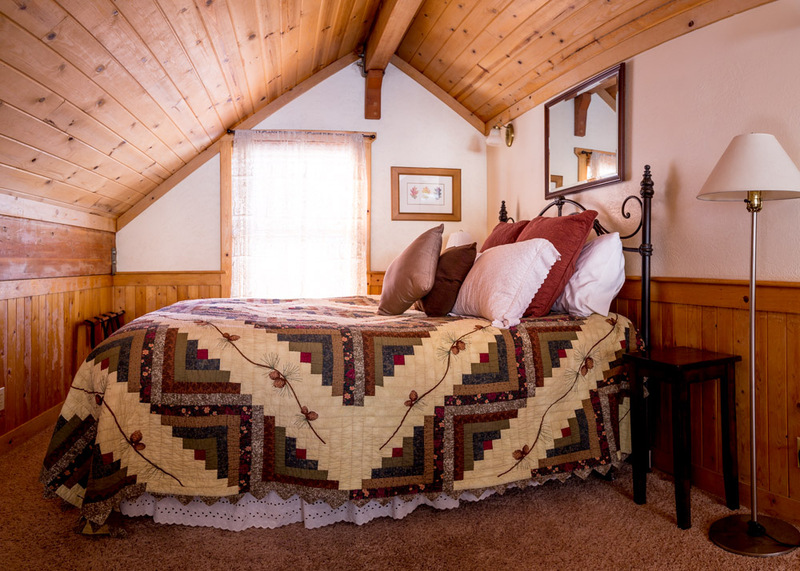 Giving guests a roomy, comfortable living space, access to this cabin is a short walk through the resort and across a log footbridge. 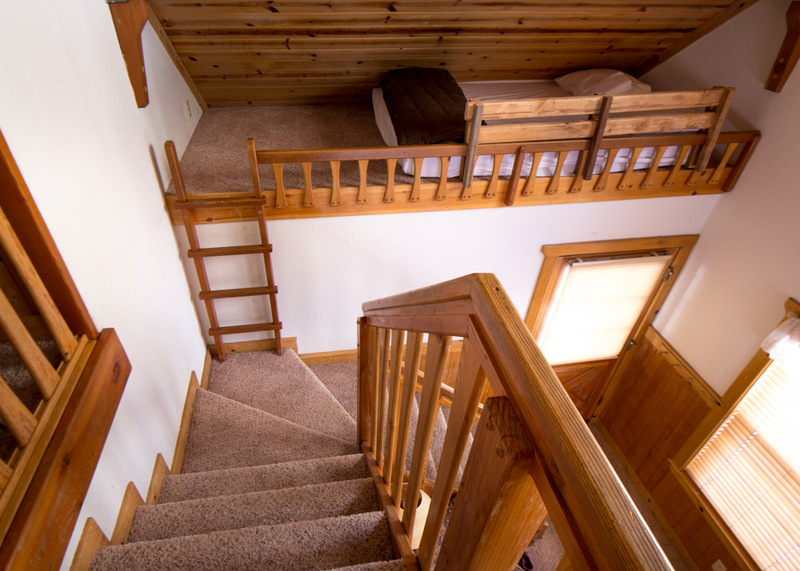 The cabin features one upstairs loft bedroom with queen bed, one bedroom downstairs with a queen bed and a double size mattress in a stairway side loft. 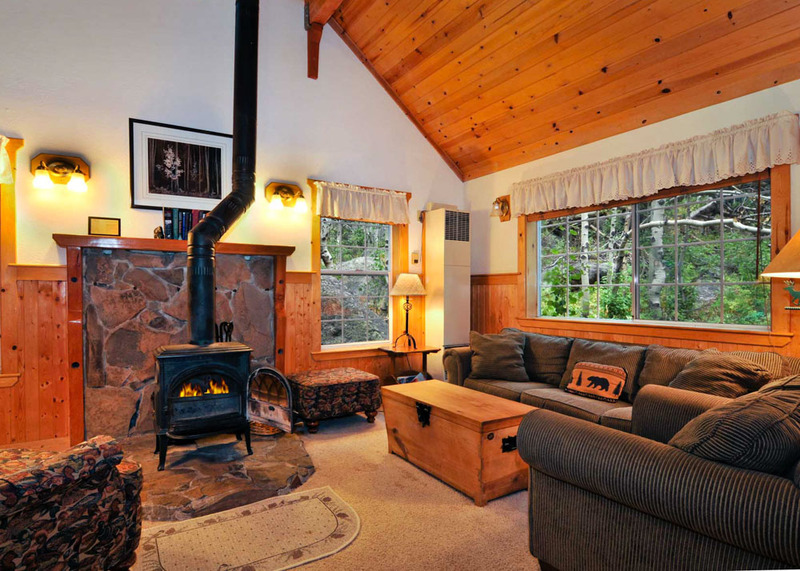 A full kitchen extends into a comfortable living room with a wood stove on a rock hearth. Downstairs bathroom with shower and tub. 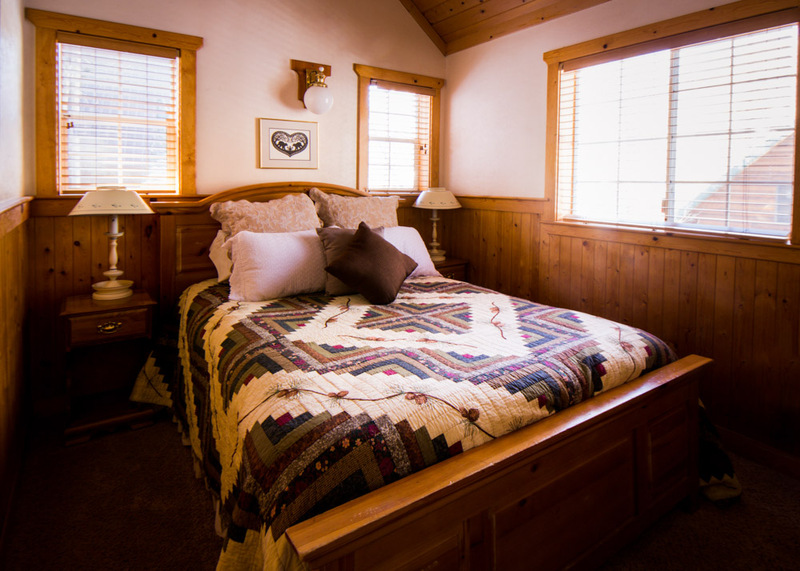 "Excellent cabin, nice having firewood, very comfortable bedding, wood stove works exceptionally well." 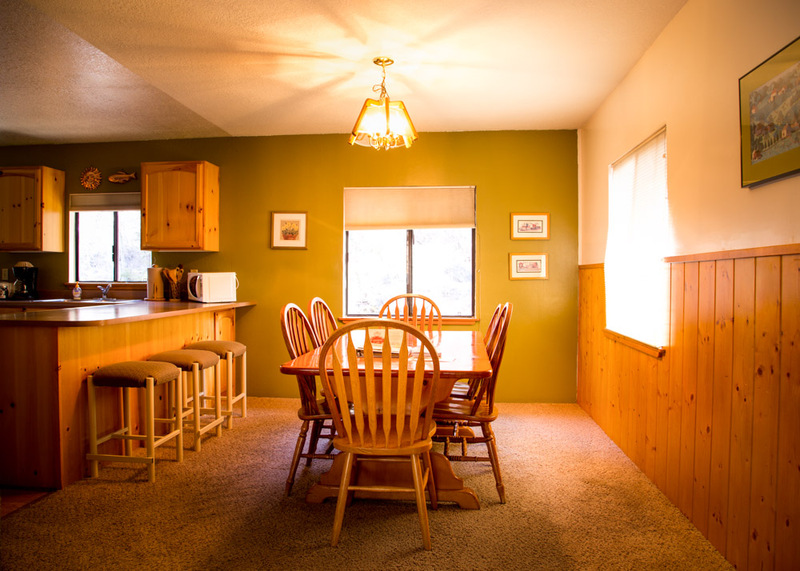 A contemporary, large mountain home located at Hope Valley Resort & Campground, just a quarter-mile away from Sorensen's. 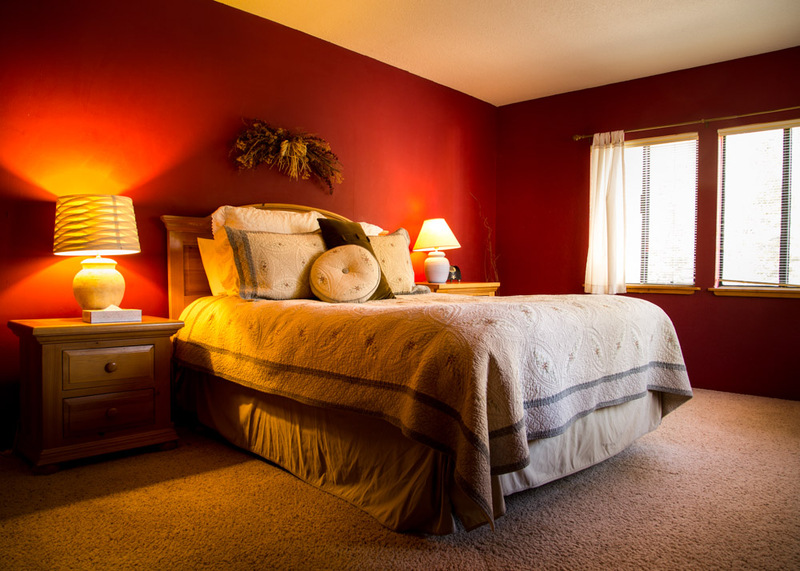 This comfortable home includes three spacious bedrooms and large living room with a fireplace and rock hearth. 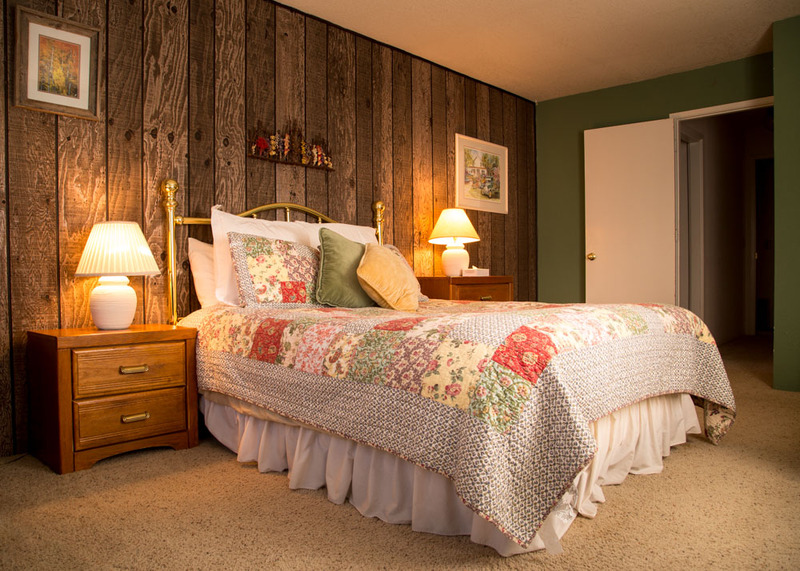 Two bedrooms have one queen bed each and the third bedroom includes two single beds and one double. 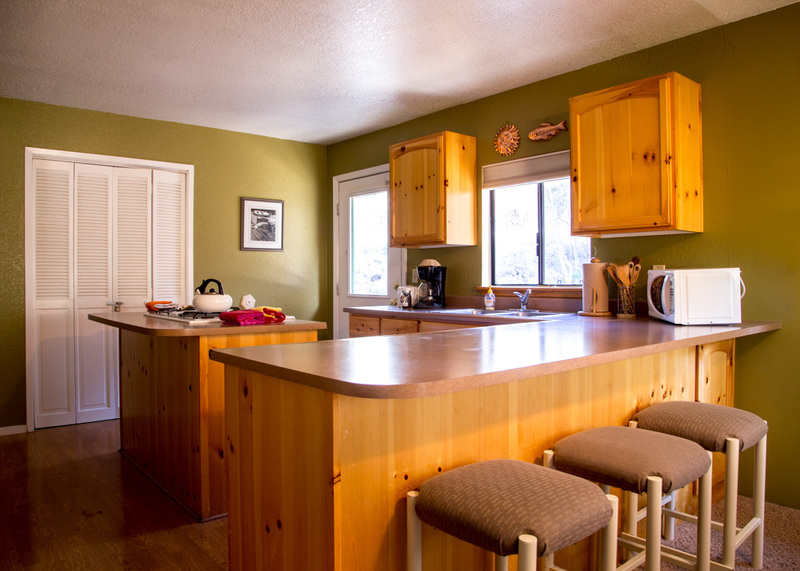 Two bathrooms and well-stocked kitchen, as well as front and back outside decks. Up to six people and two pets. Ask for weekly rates! "Nice home for a group of 6 people... We will be back." Located across the river from the resort proper, River House was built in the 1940s and sits in a small village setting. 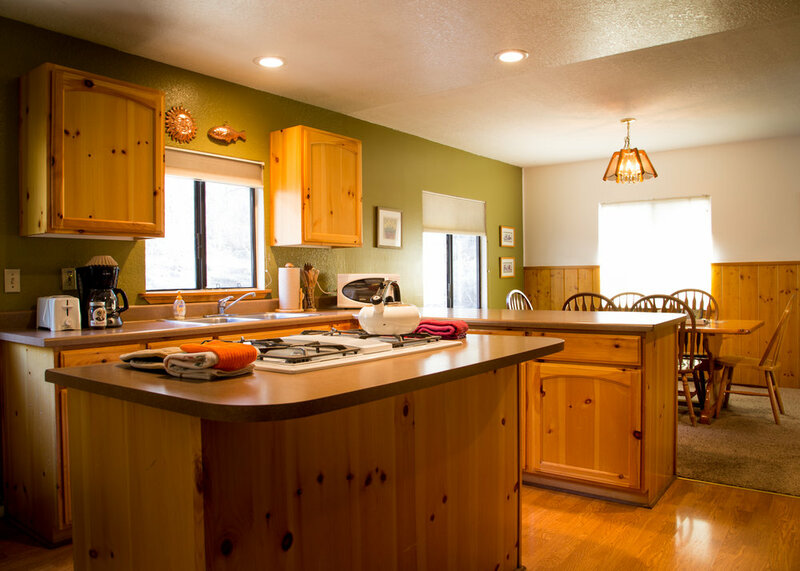 Fronting the West Fork of the Carson River, this home features one bedroom downstairs with a queen bed, full kitchen and living room with wood burner stove. Upstairs has two bedrooms, one with a double and a single bed, one with a queen bed. Bathroom with shower/ tub. Hot tub on deck. "We came up on a last-minute whim and from the initial phone call to our arrival/ greeting & accommodation- it was wonderful."